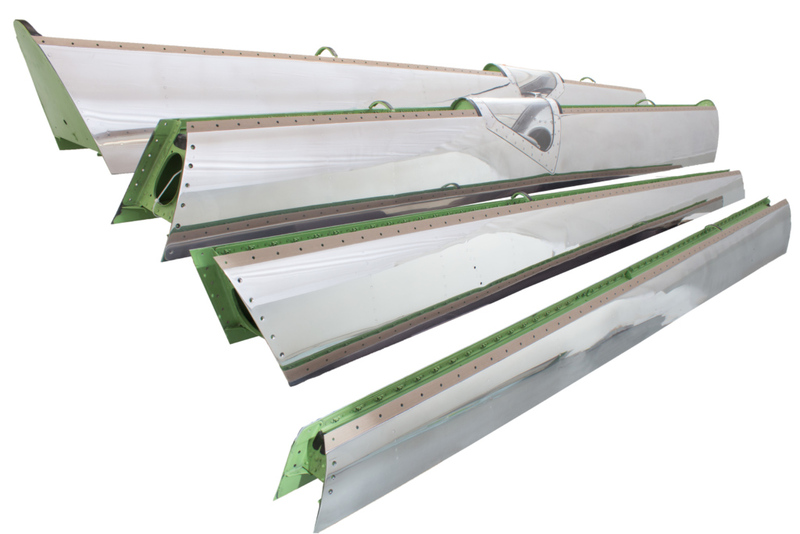 Let us help you minimize aircraft downtime with our quick turnaround of custom-fit Hawker leading edges. Hawker leading edges, of the foremost edge on an airfoil, are the first part of the wing, rotor blade or stabilizer to meet air particles. Because of this, leading edges often endure considerable wear and tear. It is critical to repair or replace leading edges before damage spreads to the rest of the airfoil or affects the operation of the aircraft. Leading edges can be damaged by corrosion (such as from leakage from separating TKS panels , foreign objects (birds, rocks, hail), erosion from general weather and carelessness while the aircraft is on the ground. At C&L we are dedicated to keeping your leading edges in optimal condition. Our experienced technicians are trained to recognize the early signs of damage and wear-and-tear on leading edges so that we can fix the problem before it becomes greater. For major repairs, we have developed full overhaul capabilities in-house, a benefit that saves you time and money. We also have full shipsets for Hawker 800 and Hawker 800xp available for exchange with quick turnaround times, and our units are customized to individual aircraft to avoid issues of fit.